Releasing an entertainment product based on a real conflict so close to day of remembrance and mourning is "tacky," says a former soldier. A Canadian veteran has accused Activision of using Remembrance Day - the Commonwealth equivalent to Veteran's Day - as part of its marketing strategy for Call of Duty: Black Ops. Ron Parkes, of Winnipeg, Canada, actually served a three-month tour in Vietnam in 1965 and thought that the choice of date was disrespectful to those who had died in battle. 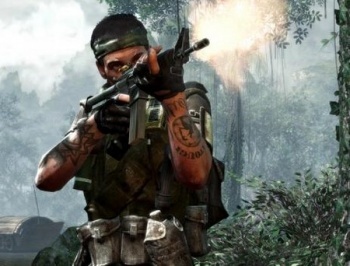 Parkes said it was "tacky" for Activision to release an entertainment product that graphically displayed a real-world conflict like Vietnam in the same week as Remembrance Day. He stressed that was the timing that he was angry about, rather than then game itself. Had Black Ops come out a couple of weeks before or after Remembrance Day, he said, he would have no problem with it, although he didn't think that Black Ops - or any other game for that matter - would ever accurately portray just how terrible war really was. "War is a whole different scenario then regular life," he said. "You live and breathe it every day you are there, and sometimes those memories, good and bad, still catch up to you." Activision hasn't overtly made a connection between the release of Black Ops and Remembrance Day, as that would undoubtedly leave it open to a veritable tidal wave of criticism from all quarters, but it has made a big deal recently about the game being a tribute to the armed forces. Admittedly, it has backed those words up with millions of dollars in donations to the veteran's charity it set up - which is good news regardless of the motivation behind it - but it's clearly not above using people's feelings about the military to help it sell games.